Manuhie Backpackers Lodge near lake Tana the largest lake in Ethiopia and 0.3 km from the city center. 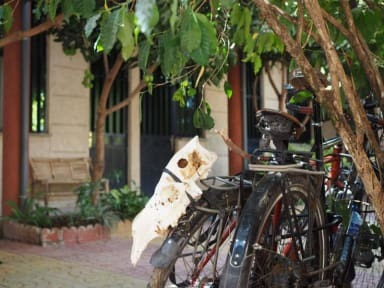 Our place is the best one for Backpacker travelers and guests that want to have simple and comfortable accommodation. 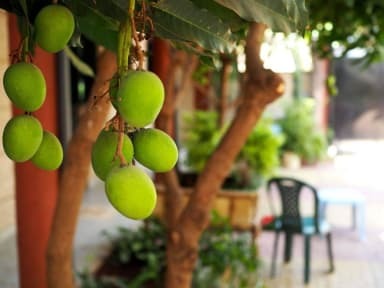 Within the garden of our compound we have a Coffee tree, Guava tree and a Mango tree. Our relaxation area is ideally located beneath the Mango tree where we will treat you to a complimentary Ethiopian Coffee ceremony on your arrival. Birds are always singing in the morning your time at Manuhie will be unforgettable. Manuhie Backpackers Lodge offers different type of rooms. 7 Basic Single Private Shared bathrooms: Private Room with 1 single bed sleeps one person. A nice and sweet cozy single bed, the room with windows that has a bright windows and showing the view of the garden. 2 Double Room with private bathroom (2 persons can sleep); and 2 Standard Twin Room Shared bathroom. Taxes not included - occupancy tax 15 %. Children aged 5 and upwards permitted to stay at property. Un buon posto per la permanenza in città. Comodo e vicino al centro. In questi giorni un po' incasinati ma proprietà si è dimostrata disponibile e prodiga di consigli utili. The place is really nice, a perfect solution for backpackers, very close to the lake. The owners are very friendly and helpfull. Bahir dar it is a perfect place to chill out.